Your movie boys hang out with Dracula on Netflix n' that. @linda-sofia-hartlen: The girls here in Europe, Or the Netherlands at least, too. I heard about women's jeans over there across the pond, and curious asked some friends. "No, We have pockets." Wait. Didn't SOTN's save rooms form a coffin around Alucard? Very on brand! Oooh, Jim, Conrad? What is that squeaky noise? Some.... cocklevania? or just a restless leg? I love you guys picking to pieces everything. So funny, but yet so true as well. Ironically NOT watching it would make you more hip and cool with the young crowd since it's mostly adults craving about it. Transmetropolitan is my favorite too, each page could be a movie/novel/game in itself for how much detail there is, both graphically and conceptually. Conrad, you should watch some speed runs, man. 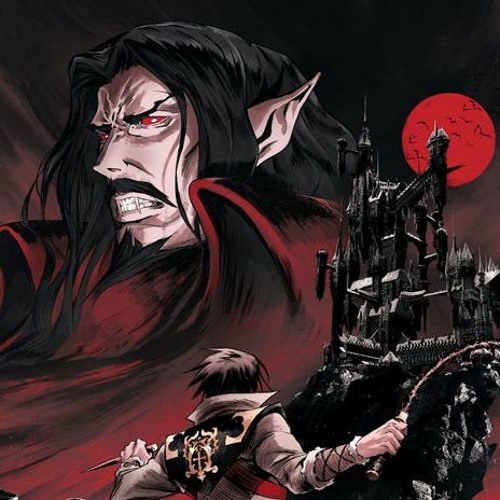 On the one hand, I like the humanisation of Dracula implying the real evil is man...but on the other hand, the ultimate goal is still to kill Dracula to stop this happening. So I get where they're coming from, even though I liked what they did with Dracula. Hey, the animation team might have wanted to draw some dong, we never know. We have to admit, though, that if they DID animate the dong, it would probably take many frames. I mean, it would be flopping and spinning. It'd just take a lot of effort to animate, especially if you want to GOOD animated dong. it's a clumsy storytelling ploy to justify the fact that the "sleeping solder" hasn't actually been under the city for a hundred years at all. I think you guys are overlooking the importance of The setup with Lisa and Dracula for the same of Alucard's involvement. His motivation is an important juxtaposition when compared to his father. He could be just as angry about her death but he chooses to oppose his father, and it's a very important element of his character. All movies and TV shows always need more dong! It wasn't an end, it was a stop. Oh God absolutely yes. It's on Netflix too, go watch it.